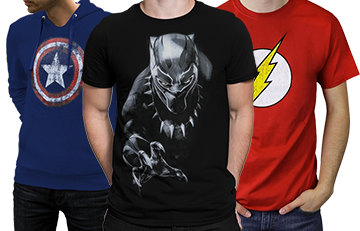 Buy One for Your Favorite Superhero Fan! The standard delivery method for gift certificates shipped within the United States is US Post Office Parcel Post (2-5 day delivery). 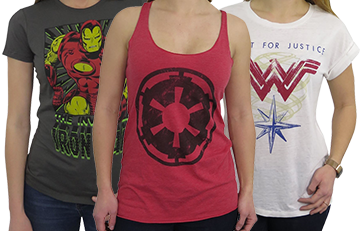 It is also the least expensive U.S. shipping option. Gift certificates purchased along with other items will be packaged with the other items, and no extra shipping charges will be assessed. The standard shipping method for gift certificates shipped outside the United States is USPS First Class International (delivery times vary by country but are generally 6-10 days). Gift certificates purchased along with other items will be packaged with the other items, and no extra shipping charges will be assessed. If you wish to have your gift certificate e-mailed, please type "E-Mail Gift Certificate" in the Message/Delivery Instructions box during checkout. 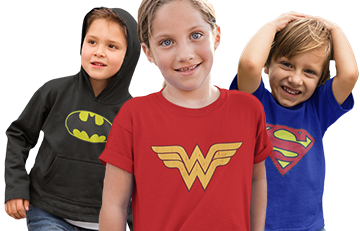 Please call us at 866-SUP-HERO or e-mail us at help@superherostuff.com if you have any questions about gift certificates.